There are endless ways to cook a turkey, but our favorite recipes come from Ina Garten, Alton Brown and Martha Stewart. 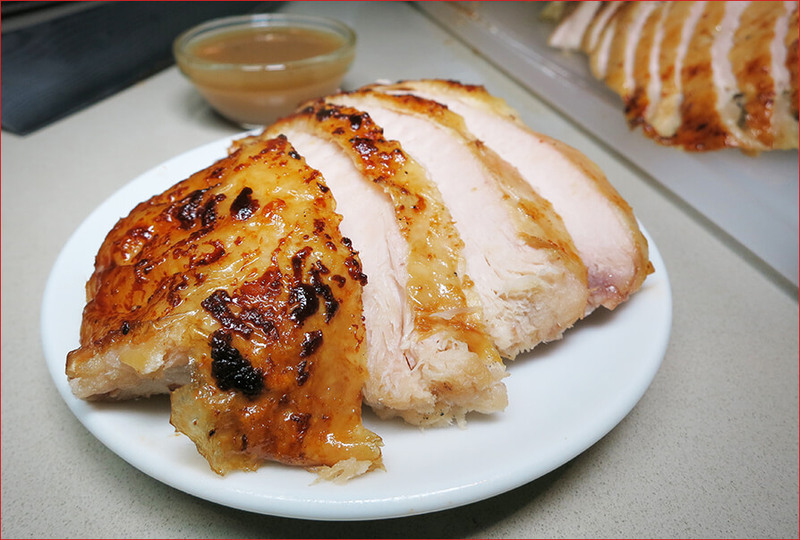 This year, we tried (for the first time) cooking our turkey with the rotisserie approach. The result was a deliciously juicy bird packed with flavor. If you have the means, we highly recommend giving it a spin (pun intended). Cooking took 13 minutes per pound, and the prep was unwieldy at times, but was well worth it. Whatever you do, remember to take the innards out of BOTH SIDES of the turkey. The last thing you want to do is cook the bird with these paper or plastic bags inside. Thanksgiving is our favorite holiday. Maybe it’s the friends, or the family, or the chilly fall weather, or the food, or the time off from work – maybe it’s the combination of all 5 (ok, fine, it’s the food). Point is, we love turkey, and Thanksgiving is the one time of year when you’re almost obligated to eat it. 1) The bird is all natural, and it’s never fed animal by-products or treated with antibiotics or hormones. Most importantly, it’s free range and handled humanely. That’s extremely important to us, and we’re loath to buy eggs or poultry that isn’t. 2) We like to brine our birds for maximum flavor and juiciness, and this turkey comes pre-brined! It’s such a convenience, and while it does mean we’re paying for a little extra liquid in the package, we measured less than one pound of excess solution – a small price to pay in our opinion. 3) These babies come large. We nabbed a beast of a bird weighing in at close to 20 lbs, and this was on the smaller range of the selection. Even if you have a small group, remember the leftovers – you’re going to want leftovers. The result? This year we took a gamble and cooked the turkey on a rotisserie – the results were tremendous. Thanks to the brining, and the nature of rotisserie, this was our juiciest turkey in years. Also, contrary to what you might think about brining, the turkey was not at all salty – it had the perfect balance of flavor. Dark meat was succulent and white meat was firm but moist. We paired our turkey with Trader Joe’s Cornbread Stuffing and Turkey Gravy and the results were excellent. As expected, we had plenty of leftovers – thankfully. We froze most of it (vacuum sealing will help add longevity), but kept enough to last us for about a week. We’ve already had a few sandwiches for lunch, and have been particularly fond of eating the turkey taco style with Trader Joe’s Middle Eastern Flatbread topped with a healthy serving of gravy. 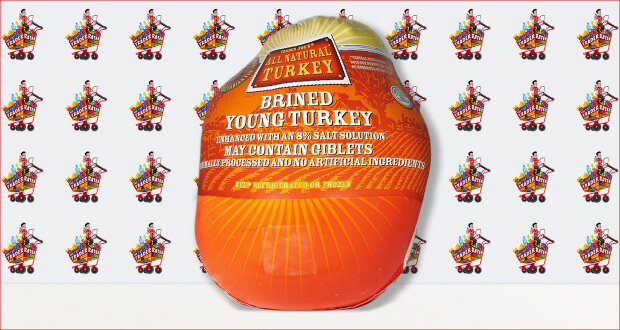 Summary : This turkey comes pre-brined, resulting in a very juicy and flavorful bird. It's sure to make your Thanksgiving meal a memorable one.